In today’s world of SEO it is very important to take a wide view of your website. The algorithm that Google uses to rank websites is changing all the time so it’s important not to focus on one thing because should that one thing you have been working so hard on be devalued by Google it could result in you losing all the equity you built up. Instead, you should look at everything on the site and keep it balanced. If you do a lot of the right things it can have a big impact and if one of those things is devalued the impact won’t be too harsh. In this blog, I’ll be running through how to do an SEO audit to help you assess your site and be able to give it an overhaul that will help your overall SEO. Keywords are a very important part of any website and you should be making sure you have these set out and planned before you do anything below. It is time consuming to do SEO on your website so you want to do this right the first time. You can see our blog on how to choose the right keywords here. I will show you what the SEO toolbar does as we go. Once installed, you will see an M in a blue square at the top of your browser. Click this to use the Toolbar. For the purpose of this audit I will use screen shots of random searches and our own website to show where things are, which I know is a brave move, but we have just rebuilt it so it needs looking at. (I will fix anything I find afterwards…you can come back and check if you like). So, the target site for this audit is your website (www.yourdomain.com) and I recommend you work through these on your own site as we go through this. To kick off, you can find out what your domain authority and page authority is. This is Google’s trust rating in your site. This runs from 1-100 and gets harder to gain ground the higher you get. It’s easier to get from 10 – 25 than 25 – 35 for instance. We would say that 40+ is good. For a website like www.bbc.co.uk they will have a score of 100 as they are very trustworthy and authorititive. This is something you can check back on to see how you are doing. This is where the Moz toolbar first comes into its own as it will place domain and page authority scores below website listings in the search page. In this example, I have done a search for plumbers for no other reason than a plumber just drove past the window. Below the website, Moz toolbar shows you the page authority (PA) of the particular page that is shown and the domain authority (DA) of the entire website. 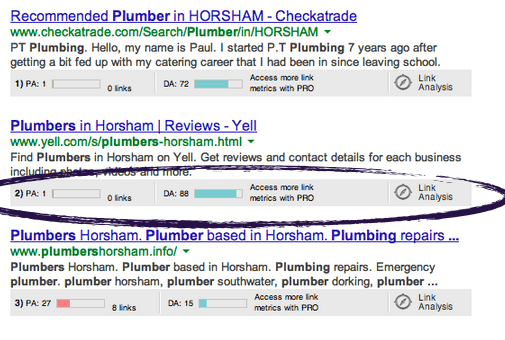 You can see here that Yell.com and Checkatrade, very well known and large websites, have a higher domain authority than the Plumbers Horsham site. The page authority however is lower due to the fact there will be little or no relevant content on that page. One big oversight is having more than one version of your website. You may have a www.yourdomain.com version and a yourdomain.com version. This is bad because you may be sharing your online equity between 2 sites and Google will not always know which one it needs to be indexing or showing in the search results. If it doesn’t know which one to show, it might not show either. To check this, simply place the different version in the browser. if you place yourdomain.com into the browser and the page shows without changing it to www.yourdomain.com then you will need to 301 redirect all the pages to the corresponding www. page. Make sure to point them to the corresponding page on the www. website and not just the home page. Speak to your developer who should be able to help here. 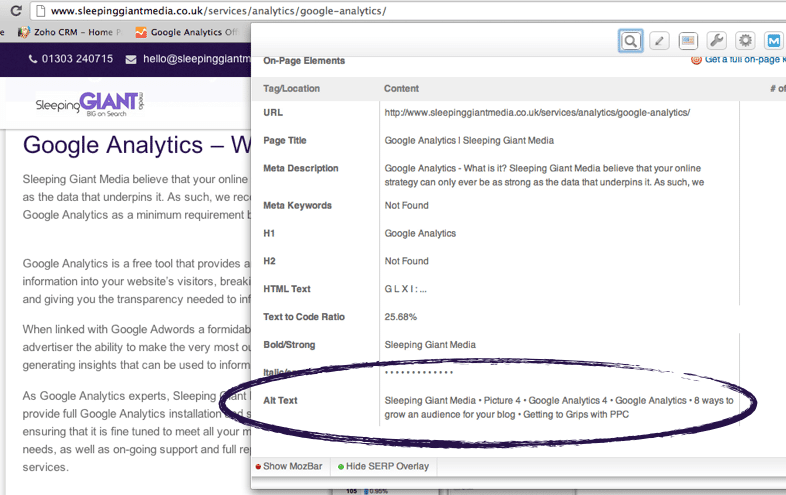 Google Analytics is very important to have on every page of your website. With analytics on every page, you can see in the dashboard exactly who is visiting and what pages are most popular. This is where your keyword research comes in. Think about how helpful to your visitor your URLs are and how much information this gives Google. Make sure they make sense. A good example would be www.yourdomain.com/local-plumbing if you are a local plumber. You have 60 characters you can use here but you don’t have to use them all and make sure that the more relevant information goes towards the beginning of the URL. This is information on the page that tells Google what it’s all about. Your aim overall is to have your URL, page content and meta data all saying the same things and including the same keywords to let Google know what is on your website. Note: With all of the content, meta data URLs and keywords, make sure to think of the visitor and make sure everything makes sense and will be a good experience for them first. Google prefer you to have a good website for the searcher, after all what they want is to give people using their product exactly what they are looking for. They are also clever enough to spot keyword stuffing, if content is spun and whether content makes sense. All of these features should also be unique for each page. The meta description allows you up to 150 characters and gives you the chance to really tell Google and searchers what is on your page. This will be shown on the search engine result page as below in the plumber search. It is the text below the green URL. If you don’t enter the meta data Google will randomly pick some text from your content for you. With this you want to advertise your page to the person you want to click through so think about what your customers will be searching for. Alt tags go on pictures you use on the website. Google cannot tell what a picture is by looking at it so you have to tell them what it is. This means that the image will appear in Google search by itself as well. I have heard it said that you should use text as if you were describing the picture to a blind person. 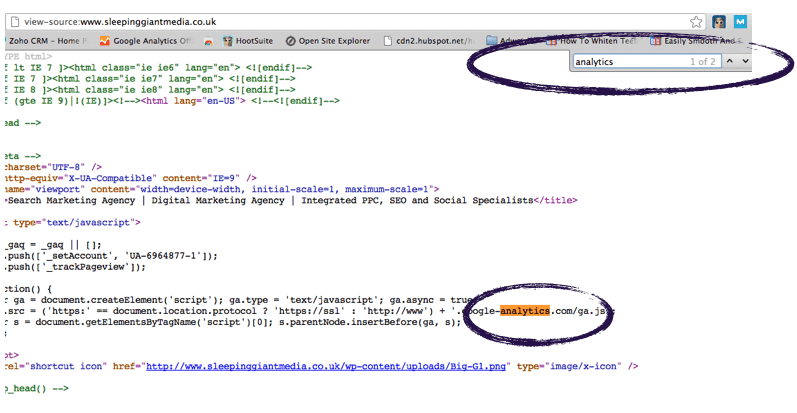 You can see what alt tags you have with the Moz toolbar. Simply go to the page you want to look at and click the Moz symbol on the top right. This brings up the alt tags on each picture. This is very important for people visiting your site. Take some time to look at your site as if you were a visitor. Does it say what it should? Is it easy to navigate? Can they find your contact details easily? Are the colours right? Is it easy to read? And so on. Content is probably the most important part of the website. This should have the keywords you have researched in it, but make sense to the visitor. Update your content regularly with news and blogs. If your website isn’t growing and being updated regularly then Google won’t know you’re still in business. With so many abandoned websites on the net now, they can only tell live and kicking websites by the changes made to them. 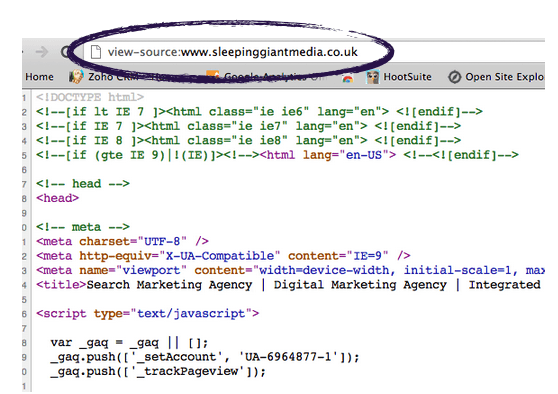 Every time they trawl your site they will index the new content. There is also a downloadable SEO audit form to work through to perform your own audits here..